The Altar Flower Chart for 2019 is in the narthex. Flowers are usually given in memory of or / and in thanksgiving for loved ones, or to commemorate special occasions in our lives. The Altar Guild requests a donation of $45.00. Checks may be made payable to St. Paul’s with Altar Guild flowers noted on the memo line. Please sign up on the flower chart at least 3 weeks in advance for your name to appear in the appropriate Sunday bulletin. 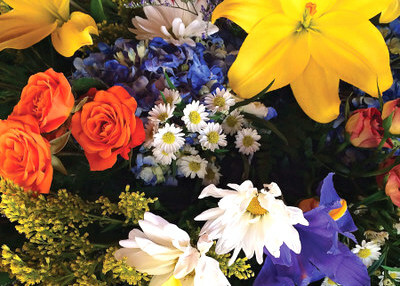 Stop by the sacristy after the 11:15 a.m. service if you would like to take the flowers you donated home.